Have a good start into the week and thanks for stopping by! Have a great week! Baci! Bello lo sciarpone e i tuoi collant sono carinissimi!!! This is already a very pretty outfit and the addition of the tartan scarf takes it up a notch with the splash of color and pattern! Nicely done Lilli! Happy Monday! Ma che bella la maxi sciarpa scozzese! Un accessorio che arricchisce e rende particolare il tuo casual look. A perfect colour combination; very suitable for this season. Have a great week Lilli! Mi piace molto questo abbinamento e poi la sciarpa è proprio bella! Great outfit, you look absolutely amazing! 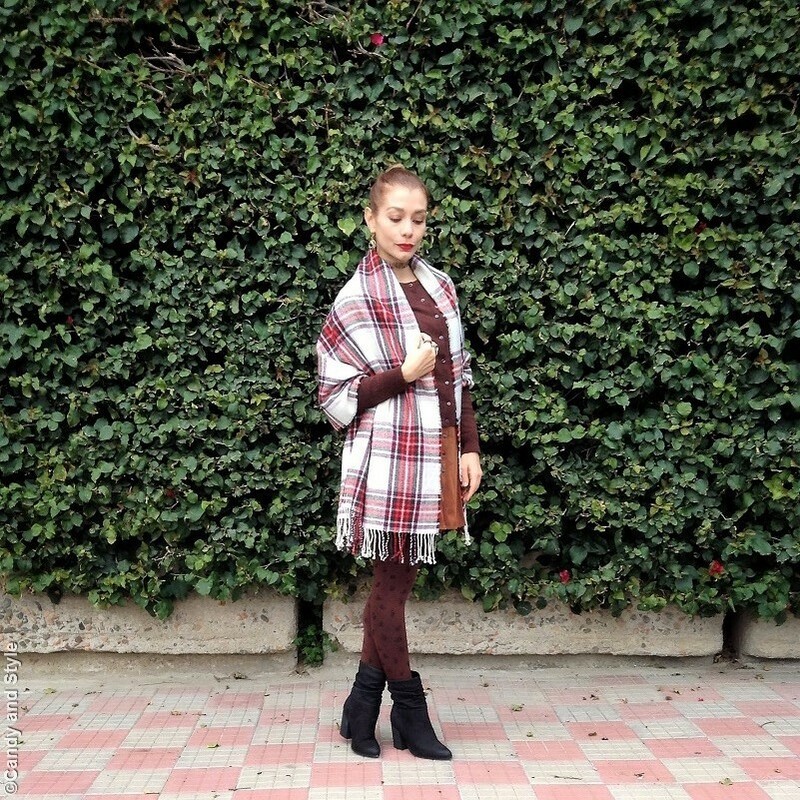 Verissimo Lilli, il tartan non passa mai di moda e tu l'hai abbinato benissimo, adoro questo look! Brown looks great on you, Lilli and I love the addition of the tartan scarf. Is it getting cold on your side? Hi Lilli, that scarf I love, it brings a lot of style to your proposal, another favorite piece of this combination is the skirt, always fabulous! I hope you have an excellent week. Kisses. Your tartan scarf looks fabulous. Love the colour combination and you matched it with your brown skirt. Amazing boots too from Aldo. Have a wonderful week too. Tartan really is beautiful for the holidays. i love your lip color as well - beautiful!